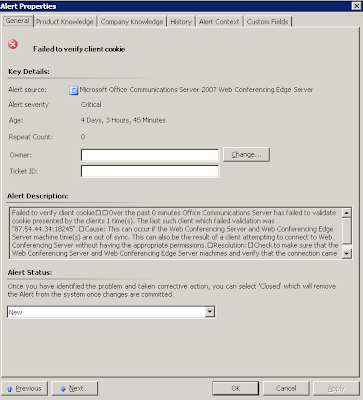 Microsoft has released a new Operations Manager Management Pack for Office Communications Server 2007. The package includes monitors and alert definitions for OCS 2007 as well as Perfomance counters. There are no OpsMgr views in the Mgt pack, but these are easy to define. What really is missing is some good reports. There are no reports included. 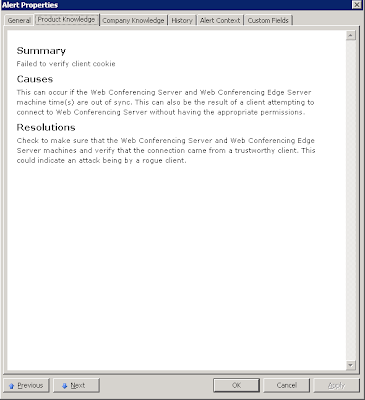 Microsoft has released an update for Office Communications Server in August 2008. The update is release throug Microsoft Update site and as seperate download. 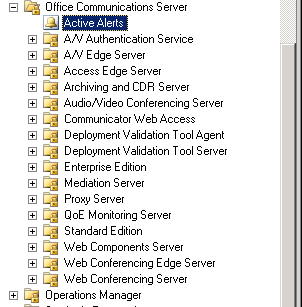 Users might experience problems when staring LiveMeeting from the start menu or Outlook add-in. Failure [0x8007054B] The specified domain either does not exist or could not be contacted.